This is the International Astronomical Union's documentary film celebrating the 400th anniversary of the telescope. The Eyes on the Skies film explores the many facets of the telescope—the historical development, the scientific importance, the technological breakthroughs, and also the people behind this ground-breaking invention, their triumphs, and failures . . . The Eyes on the Skies documentary is presented by Dr. J aka Dr. Joe Liske from the European Southern Observatory (ESO), host of the Hubblecast video podcast. It runs for 60 minutes. April 18, 2019: This animation takes the viewer on a journey to explore how the Southern Crab Nebula came to form its iconic shape. This video takes the viewer on a journey into the 29th anniversary image NASA/ESA Hubble Space Telescope, the Southern Crab Nebula. This peculiar nebula, which exhibits nested hourglass-shaped structures, has been created by the interaction between a pair of stars at its center. The unequal pair consists of a red giant and a white dwarf. The red giant is shedding its outer layers in the last phase of its life before it too lives out its final years as a white dwarf. Hubble Celebrates its 29th Birthday! Hubblecast 119 | On April 18, 2019, Hubble celebrated its 29th year in space. For this anniversary, NASA and the European Space Agency (ESA) dedicated a small amount of its precious observation time to take a look at the beautiful Southern Crab Nebula. This beautiful nebula is created by the ejected material of a red giant, which is in close interaction with a white dwarf star. This incredible image of the hourglass-shaped Southern Crab Nebula was taken to mark the NASA/ESA Hubble Space Telescope’s 29th anniversary in space. The nebula, created by a binary star system, is one of the many objects that Hubble has demystified throughout its productive life. This new image adds to our understanding of the nebula and demonstrates the telescope’s continued capabilities. On April 24, 1990, the NASA/ESA Hubble Space Telescope was launched on the space shuttle Discovery. It has since revolutionized how astronomers and the general public see the Universe. The images it provides are spectacular from both a scientific and a purely aesthetic point of view. Each year the telescope dedicates a small portion of its precious observing time to take a special anniversary image, focused on capturing particularly beautiful and meaningful objects. This year’s image is the Southern Crab Nebula, and it is no exception . This peculiar nebula, which exhibits nested hourglass-shaped structures, has been created by the interaction between a pair of stars at its center. The unequal pair consists of a red giant and a white dwarf. 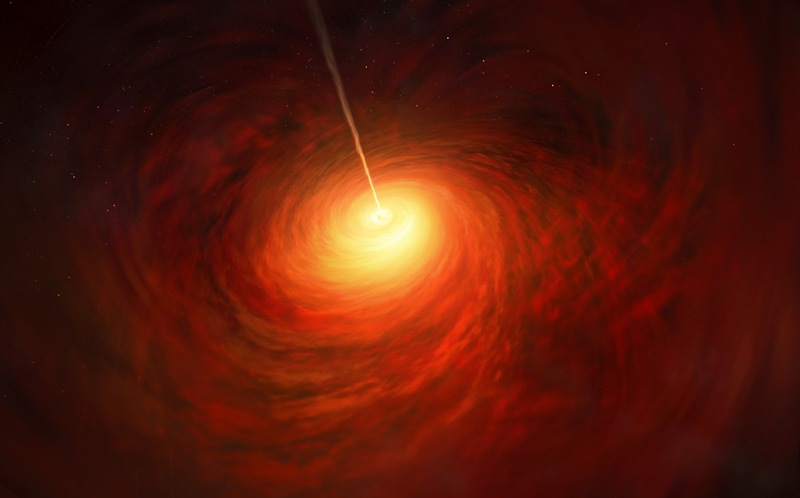 The red giant is shedding its outer layers in the last phase of its life before it too lives out its final years as a white dwarf. Some of the red giant’s ejected material is attracted by the gravity of its companion. When enough of this cast-off material is pulled onto the white dwarf, it too ejects the material outwards in an eruption, creating the structures we see in the nebula. Eventually, the red giant will finish throwing off its outer layers, and stop feeding its white dwarf companion. Prior to this, there may also be more eruptions, creating even more intricate structures. Astronomers did not always know this, however. The object was first written about in 1967, but was assumed to be an ordinary star until 1989, when it was observed using telescopes at the European Southern Observatory’s La Silla Observatory. 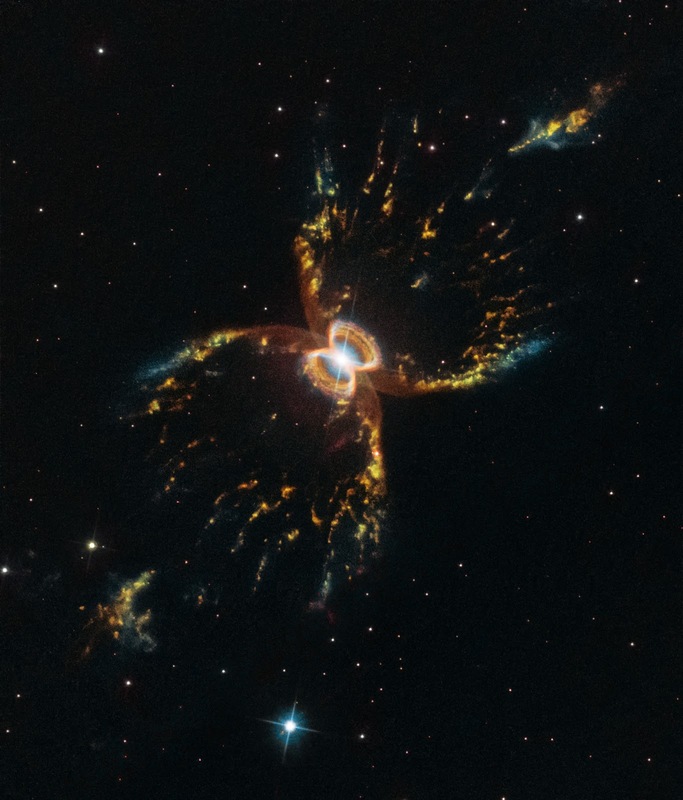 The resulting image showed a roughly crab-shaped extended nebula, formed by symmetrical bubbles of gas and dust. These observations only showed the outer hourglass emanating from a bright central region that could not be resolved. It was not until Hubble observed the Southern Crab in 1999 that the entire structure came into view. This image revealed the inner nested structures, suggesting that the phenomenon that created the outer bubbles had occurred twice in the (astronomically) recent past. It is fitting that Hubble has returned to this object twenty years after its first observation. This new image adds to the story of an active and evolving object and contributes to the story of Hubble’s role in our evolving understanding of the Universe. The Southern Crab Nebula is so named to distinguish it from the better-known Crab Nebula, a supernova remnant visible in the constellation of Taurus. "Space for U.S." highlights some of the many ways that NASA's Earth observations help people strengthen communities across the United States and make informed decisions about public health, disaster response and recovery, and environmental protection. For six decades, NASA has used the vantage point of space to better understand our home planet and improve lives. By highlighting advanced technology from a global perspective, our data helps provide people achieve groundbreaking insights. "Space for U.S." features 56 stories illustrating how our science has made an impact in every state in the nation as well as the District of Columbia, Puerto Rico and regions along the Atlantic, Pacific, Gulf of Mexico, and the Great Lakes. NASA freely and openly provides its Earth-observing data to those seeking answers to important global issues. 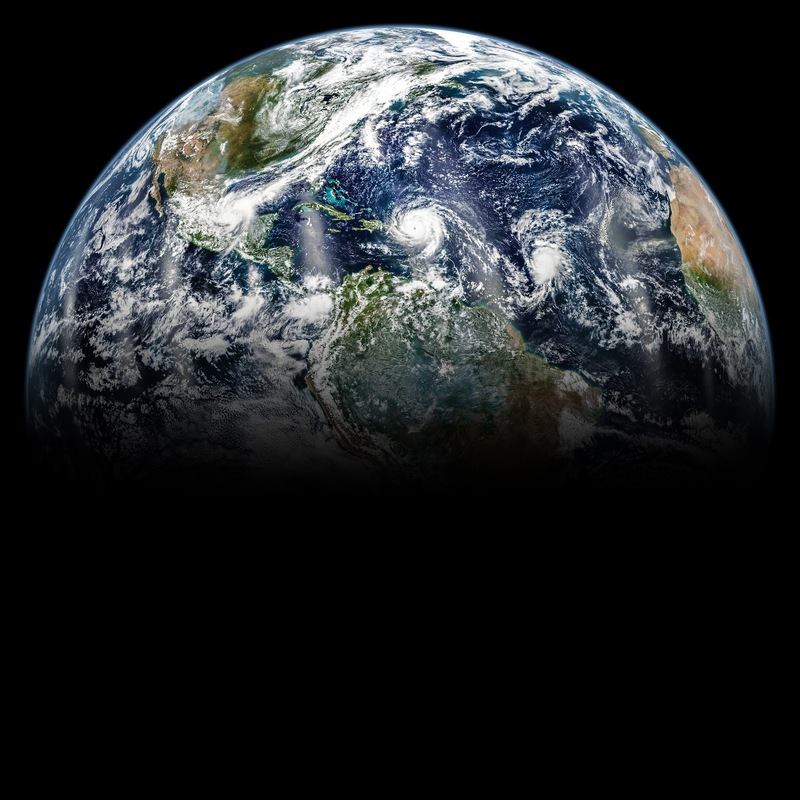 The Applied Sciences Program in NASA’s Earth Science Division funds projects that enable innovative uses of NASA Earth science data, resulting in informed decision making to strengthen America's economy and improve the quality of life worldwide. In September 2017, the Atlantic Ocean was brewing with several large hurricanes. This view of the hurricanes, and our home planet, was created by assembling images acquired throughout Sept. 6, 2017 by the Visible Infrared Imaging Radiometer Suite (VIIRS) instrument on the joint NASA/NOAA Suomi-NPP. April 22, 2019: The Earth is a unique planet. In celebration of Earth Day, NASA scientists shared their favorite thing about our home planet. 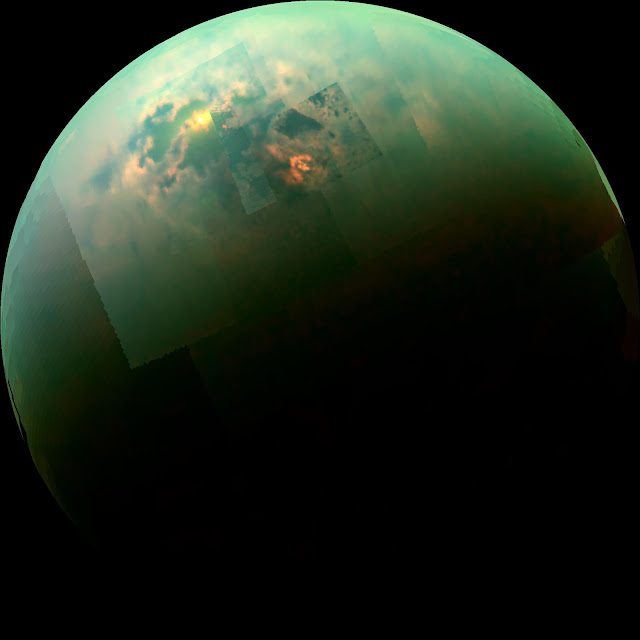 April 22, 2019: Of all the planets NASA has explored, none have matched the dynamic complexity of our own. Earth is a very special place. From the vantage point of space, the perspective of sky and sea, and all across the land, we study our planet not only to learn about it, but also to protect it. 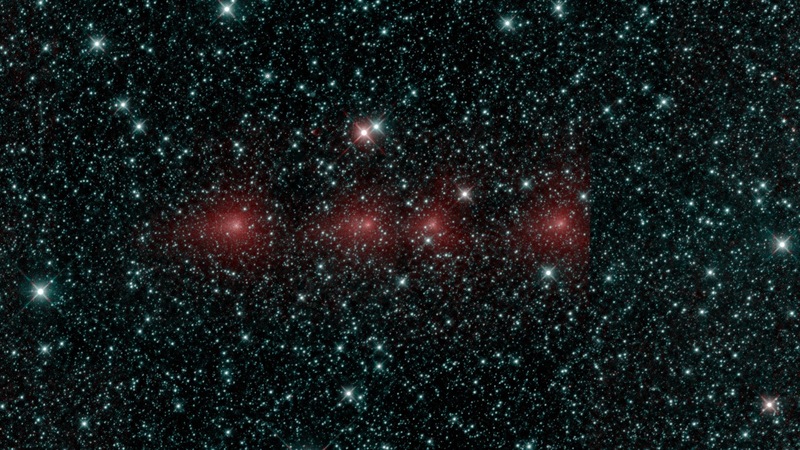 NASA's Near-Earth Object Wide-field Infrared Survey Explorer (NEOWISE) mission released its fifth year of survey data on April 11, 2019. The five years of NEOWISE data have significantly advanced scientists' knowledge of asteroids and comets in the solar system, as well as the stars and galaxies beyond. "NEOWISE recently surpassed 95 billion recorded measurements of asteroids, comets, stars and galaxies—a remarkable accomplishment for a recycled spacecraft," said Lindley Johnson, NASA's planetary defense officer and head of the Planetary Defense Coordination Office at NASA Headquarters in Washington. "This asteroid hunter has measured the sizes of more than 1,000 near-Earth asteroids and is still producing great data, making it a unique asset in our portfolio of asteroid-hunting telescopes and an important prototype for an upcoming space-based NEO survey mission." In addition to providing critical data on asteroids and comets in our own solar system, NEOWISE has provided data that have enabled the worldwide scientific community to track bursting stars, characterize distant quasars from the first billion years of the universe's history, conduct a census of millions of merging galaxies and take multi-wavelength measurements of hundreds of millions of stars and galaxies. "The data from NEOWISE effectively give us a movie of the universe as it changes over time at infrared wavelengths, which is now being used in over 1,000 different astronomical publications," said Amy Mainzer, NEOWISE principal investigator at NASA's Jet Propulsion Laboratory in Pasadena, California. Originally called the Wide-field Infrared Survey Explorer (WISE), the spacecraft was launched in December 2009 to study galaxies, stars and solar system bodies by imaging the the infrared light in the entire sky. It was placed in hibernation in 2011 after completing its primary astrophysics mission. In September 2013, the spacecraft was reactivated, renamed NEOWISE and assigned a new mission: to assist NASA's efforts to identify and characterize the population of near-Earth objects. NEOWISE is also characterizing more distant populations of asteroids and comets to provide information about their sizes and compositions. The NEOWISE survey will end when its changing orbit eventually prevents it from obtaining high-quality data. But until that time, NEOWISE will continue to contribute valuable data both to humanity's record of the universe around us and to the search for asteroids that pose a hazard to Earth. NASA's Jet Propulsion Laboratory in Pasadena, California, manages and operates the NEOWISE mission for NASA's Planetary Defense Coordination Office within the Science Mission Directorate in Washington. The Space Dynamics Laboratory in Logan, Utah, built the science instrument. Ball Aerospace & Technologies Corp. of Boulder, Colorado, built the spacecraft. Science data processing takes place at IPAC at Caltech in Pasadena. Caltech manages JPL for NASA. This poster from the National Radio Astronomy Observatory (NRAO) explains some of the key concepts in interferometry, the breakthrough that made the Event Horizon Telescope observations of M87’s black hole possible. 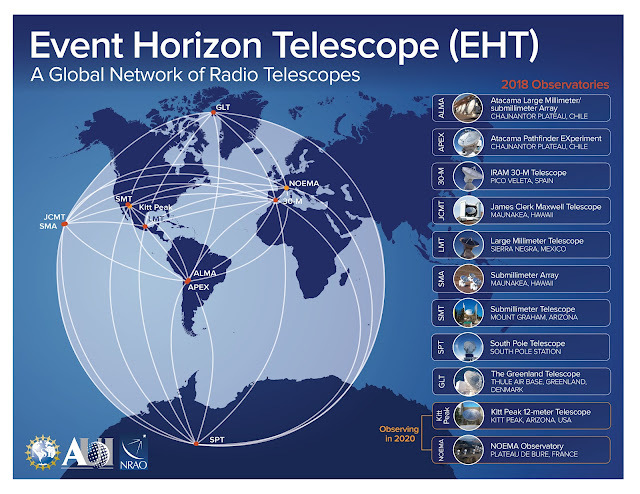 This diagram shows the location of the telescopes used in the 2017 Event Horizon Telescope (EHT) observations of elliptical galaxy Messier 87. This artist’s impression depicts the black hole at the heart of the enormous elliptical galaxy Messier 87 (M87). This black hole was chosen as the object of paradigm-shifting observations by the Event Horizon Telescope. The superheated material surrounding the black hole is shown, as is the relativistic jet launched by M87’s black hole. Messier 87 (M87) is an enormous elliptical galaxy located about 55 million light years from Earth, visible in the constellation Virgo. It was discovered by Charles Messier in 1781, but not identified as a galaxy until the 20th Century. At double the mass of our own galaxy, the Milky Way, and containing as many as ten times more stars, it is amongst the largest galaxies in the local universe. Besides its raw size, M87 has some very unique characteristics. For example, it contains an unusually high number of globular clusters: while our Milky Way contains under 200, M87 has about 12,000, which some scientists theorize it collected from its smaller neighbors. Just as with all other large galaxies, M87 has a supermassive black hole at its center. The mass of the black hole at the center of a galaxy is related to the mass of the galaxy overall, so it shouldn’t be surprising that M87’s black hole is one of the most massive known. The black hole also may explain one of the galaxy’s most energetic features: a relativistic jet of matter being ejected at nearly the speed of light. The black hole was the object of paradigm-shifting observations by the Event Horizon Telescope. The EHT chose the object as the target of its observations for two reasons. While the EHT’s resolution is incredible, even it has its limits. As more massive black holes are also larger in diameter, M87's central black hole presented an unusually large target—meaning that it could be imaged more easily than smaller black holes closer by. The other reason for choosing it, however, was decidedly more Earthly. M87 appears fairly close to the celestial equator when viewed from our planet, making it visible in most of the Northern and Southern Hemispheres. This maximized the number of telescopes in the EHT that could observe it, increasing the resolution of the final image. This image was captured by FORS2 on ESO’s Very Large Telescope as part of the Cosmic Gems program, an outreach initiative that uses ESO telescopes to produce images of interesting, intriguing or visually attractive objects for the purposes of education and public outreach. The program makes use of telescope time that cannot be used for science observations, and produces breathtaking images of some of the most striking objects in the night sky. In case the data collected could be useful for future scientific purposes, these observations are saved and made available to astronomers through the ESO Science Archive. 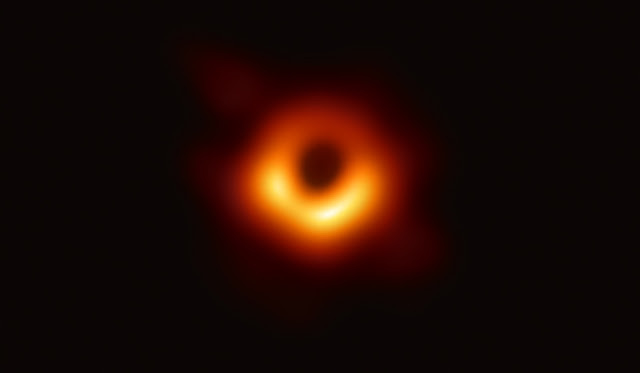 April 10, 2019: The Event Horizon Telescope, a network of radio antennae around the globe, has captured the first image of a black hole event horizon. This black hole is located in Messier 87, or M87, which is about 55 million light years from Earth. The event horizon is the boundary between what can and cannot escape a black hole's gravitational grasp. Astronomers were also using other telescopes while the Event Horizon Telescope was getting its data including NASA's Chandra X-ray Observatory. Chandra has studied M87 many times over its 20-year mission and sees a much wider field-of-view that the EHT. By combining Chandra data with the EHT image, scientists can learn more about the giant black hole and its behavior. For example, was material actively falling onto the black hole while the EHT was getting its revolutionary image? 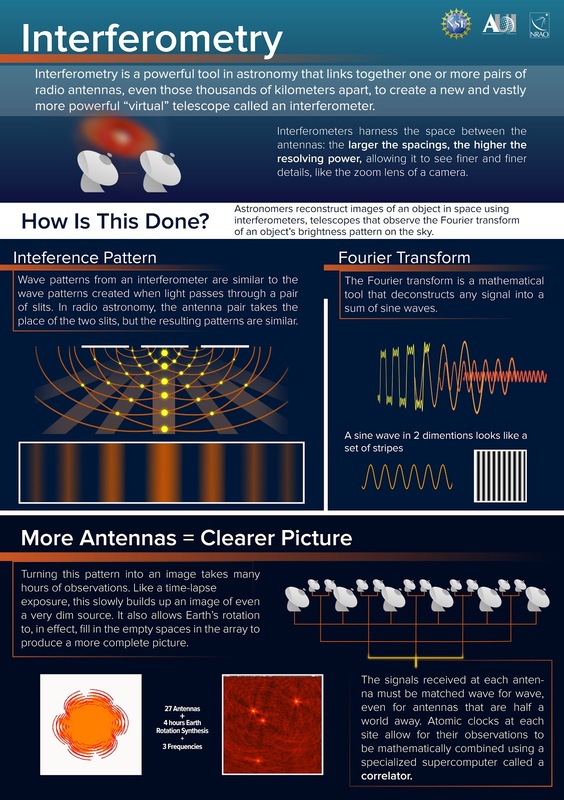 What was happening to energetic particles near and far from the event horizon during this time? Scientists will use these data to learn as much as they can about the exotic and fascinating objects known as black holes.